Tribal Residents who need emergency assistance during the extreme cold are encouraged to call 641-484-3760 (Press 1 for a Tribal Police Officer). 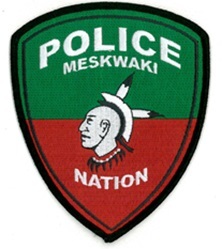 The Tribal Police Department will be operating during this extreme weather event. Please keep in mind that Emergency Services may take longer to arrive at locations. Tribal resident’s please establish an open line of communication with your Elder’s so you can check on them throughout the cold weather. Children shouldn’t be left alone during this extreme weather event; they may be unaware of the dangerous conditions outside. Pets and Animals need to be sheltered. Any use of heat lamps have to be monitored and secured, be careful of the use of these lamps and LP & be mindful of your structures; especially placement next to your homes; this can be a source of fires. Animals can easily knock over these items or chew on the cords. Space heaters can also pose an increased risk of fires and need to be monitored closely for overheating or items being placed too close to their proximity. Iowa / Meskwaki Settlement weather is unpredictable any time of year, but especially during the winter months. If you are stranded, do not leave your vehicle. Stay with the vehicle and wait for help. Motorists are encouraged to check travel conditions and weather reports before driving at *511. When the weather is very cold outside, let the cold-water drip from the faucet served by exposed pipes. Running water through the pipe – even at a trickle – helps prevent pipes from freezing.